A special thank you to NetGalley and Atria Books for an ARC in exchange for an honest review. 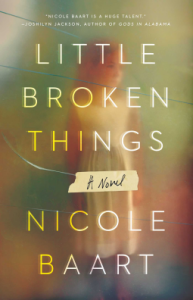 Past secrets and strained relationships are at the heart of Nicole Baart's newest novel, Little Broken Things. 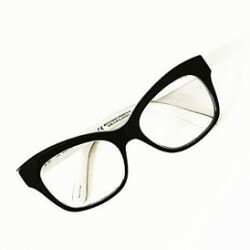 Nora, estranged from her sister, Quinn, sends a cryptic text before showing up on her doorstep with a six-year-old girl. Nora abruptly leaves the girl in Quinn's care with the instructions to keep her safe, and not to ask any questions. Quinn and her mother, Liz, believe that the girl may be Nora's daughter. By telling the story through multiple viewpoints—Quinn, Nora, Liz, and Nora's friend, Tiffany—Baart slowly reveals the circumstances that led Nora to leaving the little girl in her sister's care. Other past indiscretions are also brought to light to help explain why the relationships between the women are so strained. Not everything is how it appears from the outside; Liz kept up appearances at all costs, no matter how exhausting and this was the trade off to preserve what she envisioned her image to be as a wife, mother, friend, and socialite. At times this novel is not an easy read; Baart tackles some pretty big issues. Even though I wasn't blown away with the ending, I still enjoyed this exploration of familial relationships. Sometimes the most fragile bonds are with those we love the most.